In the yoga world, Gaiam is a well-respected brand, one that yogis trust. 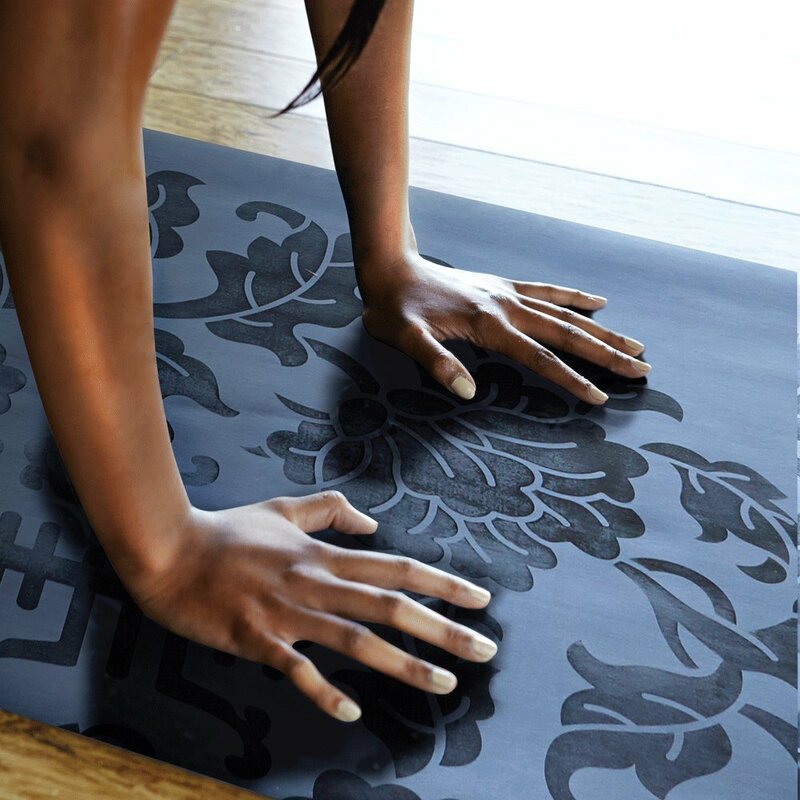 By bringing home the Gaiam Sol Dry-Grip Yoga Mat, you’ll have a product that’s produced with the environment in mind. It is resilient, and it will support you as you make your way into tough balancing poses like tree or crescent lunge. With its slip-free surface and ability to thwart germs, the Gaiam Sol Dry-Grip Yoga Mat will help you enhance your practice by inspiring you to try challenging poses. 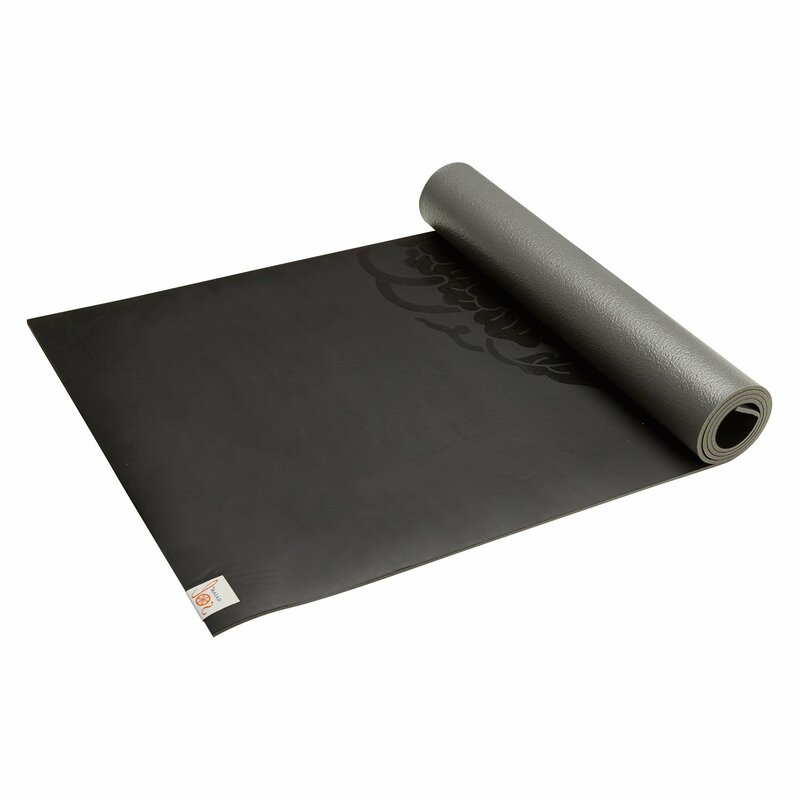 The Gaiam Sol yoga mat is made from lightweight PVC material. This increases its durability. The mat also comes with a top layer that wicks away moisture to keep you from sliding around during your practice. With this feature, you’ll avoid the frustration of watching your hands slide slowly up the mat while pulling your back out of the proper alignment in the middle of your practice. In fact, this yoga mat’s material provides a better grip as your body temperature rises. Gaiam sealed the Sol mat to keep odors, bacteria and germs from forming. With 5 millimeters of cushioning, the mat protects your bones and joints. Gaiam manufactures the product without rubber, so it’s perfect for anyone who is sensitive to latex. In addition, the mat’s lightweight construction makes transporting it from your car to the yoga studio a breeze. The Gaiam Sol yoga mat is 68 inches long and 24 inches wide. It weighs just over 4 pounds. Since the Sol yoga mat is free of phthalates like DBP, DEHP and BBP, you won’t be breathing in harmful chemicals while using it to practice. It also comes with a lifetime guarantee. As with other yoga mats, this one will exude a noticeable new mat smell. Some people don’t mind the scent while others are put off by it. If you find the odor unpleasant, allow the mat to air out for several days before you use it. Gaiam’s Sol mat is easy to keep clean. You can use a specially formulated yoga cleanser, or you can just wipe it down periodically with a damp cloth and a gentle detergent. Some people prefer to make their own yoga mat cleanser from essential oils. Be sure to look up a recipe or two to avoid damaging the mat if you’re considering this option. Let your mat dry flat. Also, avoid leaving your mat in the sun as this could cause it to become brittle, which makes it unusable. When you’re not using your mat, it’s best to leave it in a yoga mat storage bag. The Gaiam Sol Dry-Grip Yoga Mat is perfect for different types of yoga. Use it for a vinyasa flow or during a heated Bikram class. On this mat, your sitz bone will be supported during seated meditation, and you can complete transitional jumps without slipping. In fact, some yogis have commented that the mat is perhaps a little too sticky since they had trouble sliding their foot across it and into pigeon pose. You are sure to appreciate the denseness of the mat as it will help you stay upright during your balancing poses. Gaiam’s Sol mat will withstand intense use. It won’t peel, separate or flake. The mat also maintains its color. Not only will it hold its hue, but you can also buy the mat in shades like black, purple and blue. Its peaceful design will inspire you to come to your mat emotionally during every yoga practice. In addition, as you reach your workout peak, the mat’s design becomes more prominent. If you like seeing the design pop out, you may be encouraged to work harder during each class. A major benefit of selecting this yoga mat over those made by other companies is its lack of bacterial-based odor. Over time, some mats begin to smell foul due to heavy use and the amount of sweat that they are exposed to while others always seem to smell rubbery. The Gaiam Sol mat’s moisture repelling material is unlikely to smell bad. The mat’s potential drawbacks include its size. Some of the mat’s previous buyers have also been disappointed because it only comes in a standard size. The Gaiam Sol mat may feel more firm than you’d like on your knees or cheeks. However, this firmness is what makes it ideal for outdoor yoga since it creates a supportive barrier between you and the Earth. You’ll be able to keep your warrior two pose steady by practicing on a Gaiam Sol Dry-Grip Yoga Mat. With cushioning that protects your body and stickiness that keeps you secure on your mat, the Gaiam Sol yoga mat will help you take your yoga practice to the next level.